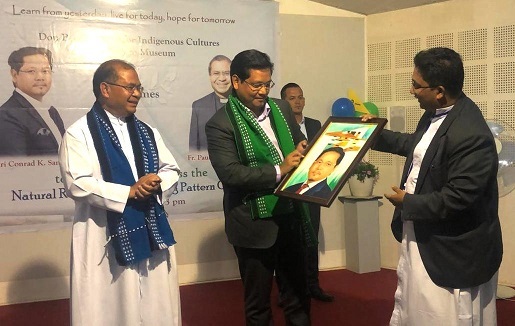 Meghalaya Chief Minister Conrad Sangma on Monday launched the newly installed housing pattern and a corner on mineral resources of the region at Don Bosco Museum, Shillong. Conrad on his official Twitter handle stressed that the ‘museum is a store house of knowledge and information of North East India’. Speaking on the occasion, the State Chief Minister stressed on documentations on cultural history of tribes and other communities to ensure that people especially younger generation became aware of their roots. Expressing concern that due importance was not given to culture, Conrad also lamented that the cultural diversity and knowledge of cultural history of the different tribes or communities in the State was not properly documented. Conrad also said that when he was a member of the Parliament from Garo Hills region of the State, he ensured that the State got projects to conduct research and set up cultural centres for the Garo tribe under the Garo Hills Autonomous District Council (GHADC). The Chief Minister further said that it is the duty and responsibility of the councils to keep up the tradition and study the culture, different cultural values of the different tribes.